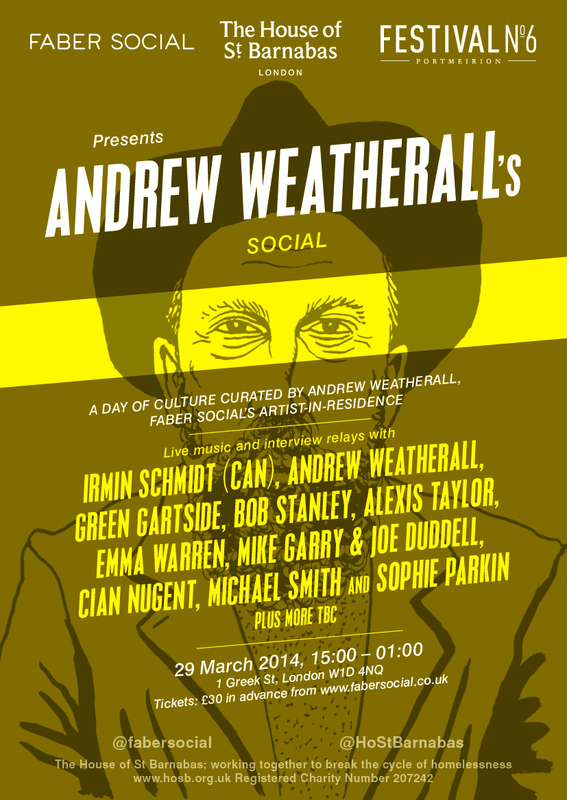 The House of St. Barnabas and Faber Social, in association with Festival No.6, are proud to present ANDREW WEATHERALL’S SOCIAL on Saturday 29 March 2014. Part of The House of St Barnabas’ ongoing Culture Series, this is the first of their “Collaborations” series for spring 2014. 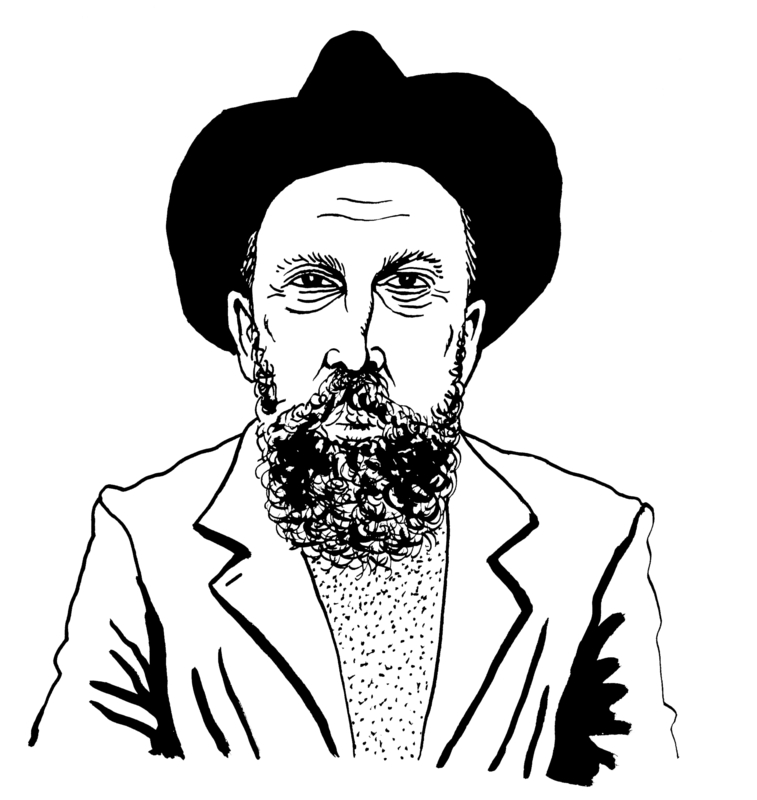 Since April 2013 Andrew Weatherall has held the year-long role of Faber Social’s inaugural Artist in Residence, undertaking projects as broad as annotating and providing the soundtrack to Michael Smith’s recent novel Unreal City, or creating one-off pieces of art, to composing the music to the forthcoming Faber Social podcast series. As Faber Social prepares to announce the next Faber Social Artist in Residence exclusively at this event, they present, in creative collaboration with The House of St Barnabas and Festival No.6, a unique day of cultural happenings curated by Andrew Weatherall. Featuring interviews, music and art from Andrew, Irmin Schmidt of CAN, Green Gartside, Saint Etienne’s Bob Stanley, Alexis Taylor (Hot Chip) writer Emma Warren, musicians Cian Nugent and Mike Garry & Joe Duddell, writer and filmmaker Michael Smith, writer and actress Sophie Parkin, plus more to be announced. 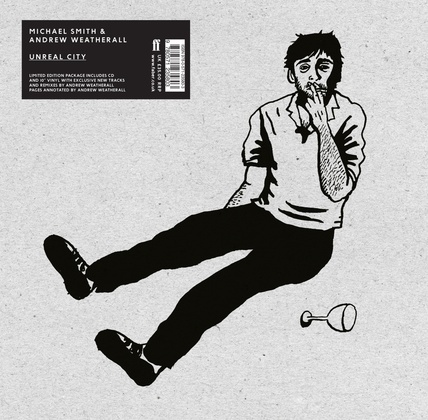 This entry was posted in Art, Deep stuff, Words, Sound & Power and tagged Andrew Weatherall, CAN, Caught By The River, Emma Warren, Faber, Green Gartside, Heavenley, Hot Chip, House Of Barnabas, Irmin Schmidt, Michael Smith, Social, St Etienne. Bookmark the permalink. That’s a great line up!